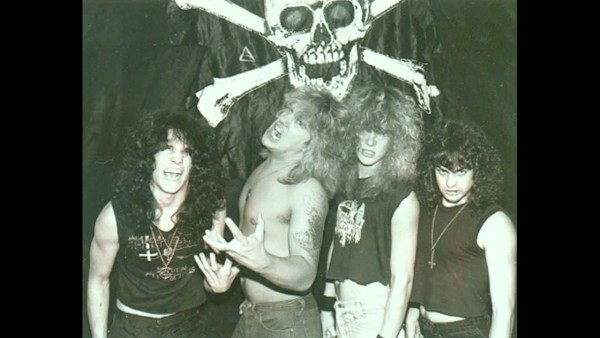 Morbid Angel recorded what was supposed to be their debut album in 1986. 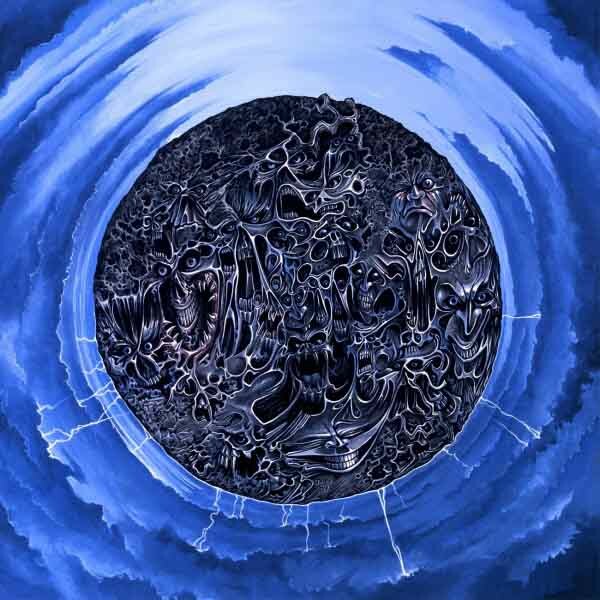 Compositionally excellent and novel, Abominations of Desolation was a Manhattan project of death metal as a truly musically distinct sub-genre. However, band leader Trey Azagthoth and then producer Dave Vincent were unhappy with the recording. 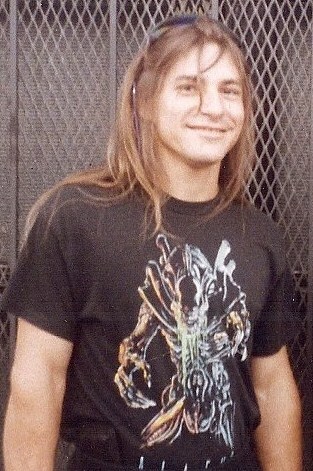 Azagthoth quickly fired drummer/vocalist Browning and bassist John Ortega, and shelved the album, which Ortega later released as a bootleg. Vincent and Azagthoth had a point though: Browning’s drumming was shaky and he sounded like a wimp. His drumming lacked power, never making use of blast beats while his vocals could have come out of a whiny fourteen-year-old. Chapel of Ghouls is a very interesting metal song to start with for several reasons. First of all, it is the epitome of the traditional death metal song and displays the marks of excellent composition by way of being balanced and maintaining perfect mood. Second and related to this mood evocation is the fact that this is a song written for guitars tuned to E-flat standard tuning and uses the open low string often but is not in the key of E-flat, giving the low-chug a very distinctive aura that comes from the sharpened leading tone being emphasized so much that is not the comforting home tonic we hear in commonplace metal. In general, this song also gives us a very special opportunity to see how attention to the use of scale degrees in the right places lends a very specific purpose to different passages with a very powerful effect. My exposition and analysis of Chapel of Ghouls parts from the a posteriori premise that the key in which it is written is E minor. While making frequent use of chromatism, this piece is undeniably tonal and by that very nature it has a tonal center. It is up to the analyst to unearth just what that center is. The next most important assumption which applies to a lot of metal, is that the playing of fifths is decorative, making use of the sonorous effect this interval has when played on the distorted electric guitar. We do not consider this as an important element of functional harmony and we should only consider the main bass note as pertinent to our discussion of motifs and patterns. Exposition: A-A’-B-C presents the main ideas, and is repeated again with a small divergence in the number of repetitions of the riff. The second time around it is played, it is repeated more times, a simple and primitive way to echo an expansion. Development: While part “D” is still in the same key, it starts a shift in the importance of the notes which can be considered a modulation. When we reach E, the song is in a different key than the rest of the song, and a different theme defines this section as well, even though we can hear an affinity with the motif of part “B”. Ironically, we call this type of development monothematic, although it may have more than one theme of its own (as this one demonstrably does). Retransition: part “F”, a slowed down section treading the same some of of the tones (degrees 2 and 3, specifically) that have been used again and again in succession in this song, only to round it off by clearly stating the main motif and theme of the song decorated with an octave doubling rather than with the typical fifth used elsewhere in the song. Recapitulation: re-use of “A”, “B” and “C” in different order and condensed number of repetitions. The final use of A incurs in a variation that heavily emphasizes the main theme as its final phrase. Furthermore, the way solos run over more stable rhythm sections and moments when the rest of the music is quiet resembles the tutti-solo-tutti exchanges typical of works from the Classical era. The piece displays an adept of use of pauses and brief silences to enhance expectation and stress unstable tones at inflection points to promote forward movement. 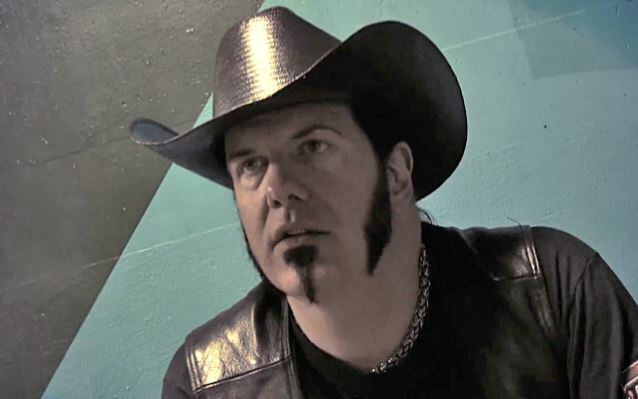 Another little trick that is worth highlighting is that when they make tempo changes either to a faster or a slower, Morbid Angel will shorten or stretch average note length in order to counter the change (if we change to a faster tempo, the notes become longer, and the opposite in the same manner). This helps make transitions much more smooth sounding, pulling the length of the notes towards an central average despite the difference in tempos in different sections. Lastly, every one of the riffs/parts we defined above with letters of the alphabet are written in period form. A period contains an antecedent and a consequent. The second one of these is a repetition of the first with variations in the end goal, the harmony or anything else that does not destroy the identity of the original idea. Traditionally, the antecedent ends in the dominant or a transition to the dominant and the consequent ends in the tonic, coming back to stability. 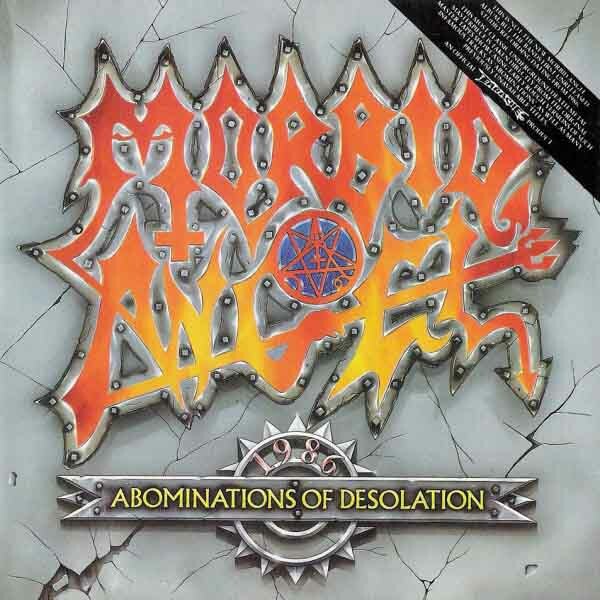 In the case of Morbid Angel’s Chapel of Ghouls, all the periods’ antecedents, except those that make up parts “D” and “E”, finish on tones that are not part of the E-minor scale, while the consequents all end on in-scale tones. In the case of the exceptions just mentioned, this is inverted and D# is tonicized, effectively constituting a modulation to a different key. 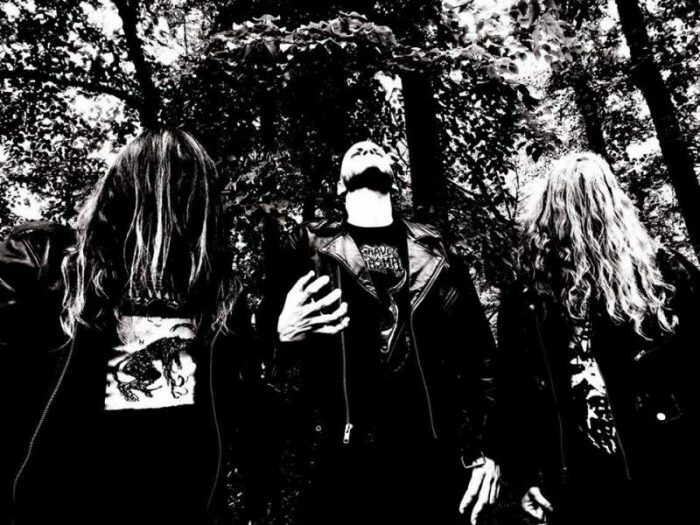 Trey Azagthoth’s early infatuation with Mozart is often taken lightly even by fans of Morbid Angel but Chapel of Ghouls is a clear example of how this claimed influence went deep and affected the way motif, theme and development were handled. 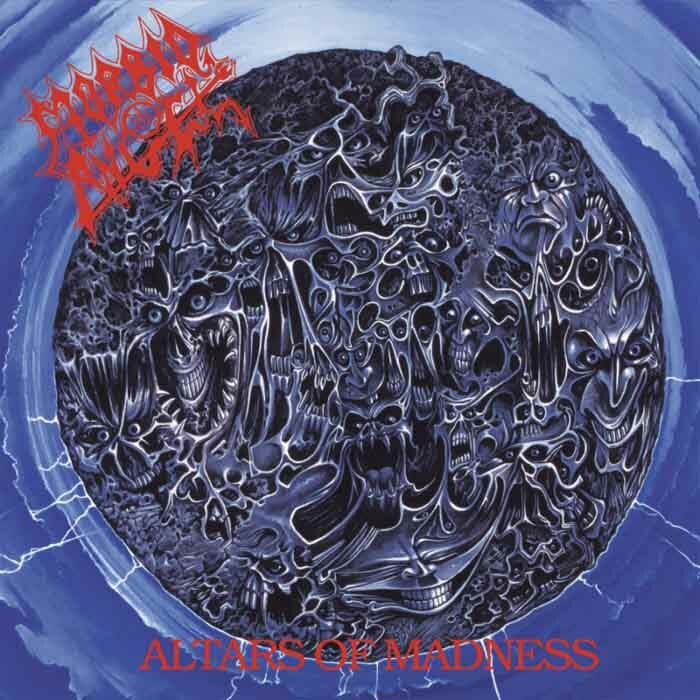 Trey did not just copy the classical style of Mozart, but adapted methods perfected by the late master to the needs of the budding death metal genre Morbid Angel helped define.